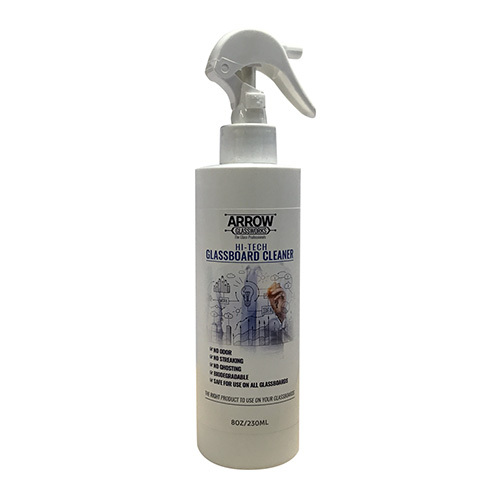 Unlike your average glass cleaner, the Arrow Glassworks cleaner is biodegradable, has no alcohol, no ammonia, no odor and no fumes. It is a natural cleaner designed specifically for your glassboard. We are so confident in our product that it comes with a 100% Money Back Guarantee.